From 16-18 November 2018 the first Train the Trainers Workshop for Multipliers took place in Ljubljana, Slovenia. 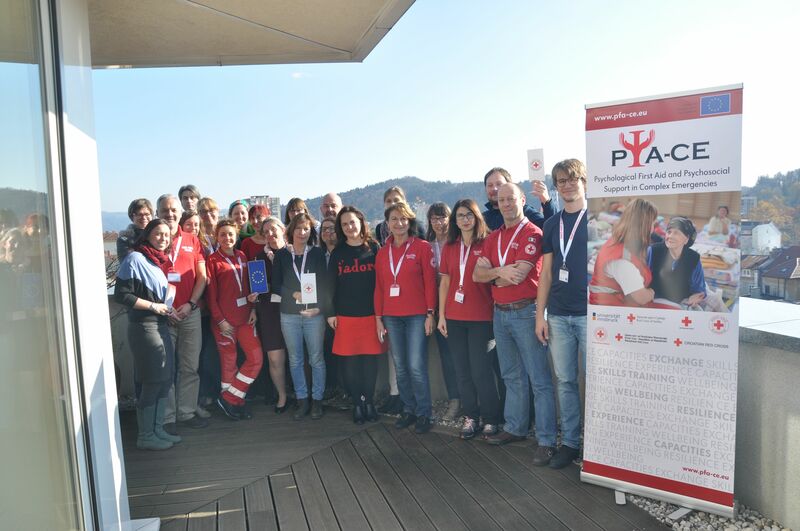 Guided by experts from the University of Innsbruck and the Austrian Red Cross 25 participants including Red Cross staff and volunteers from Italy, Slovenia, and Austria involved in disaster response management and coordination actively participated in the workshop. 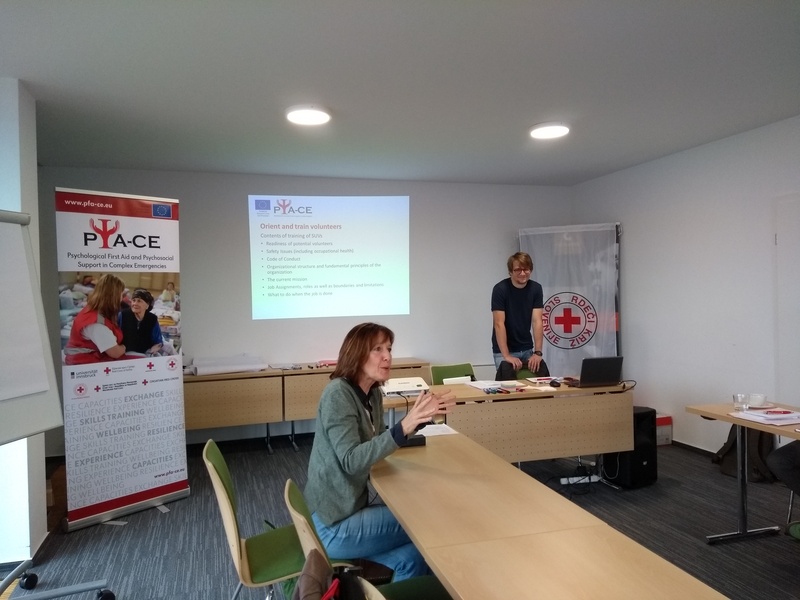 The objective of the workshop was to test the training materials for improvements of the application of Psychological first aid and Psychosocial support in Complex Emergencies, as developed by the University of Innsbruck and the Austrian Red Cross with significant input from the experience exchange within this project. During the workshop Red Cross staff and volunteers involved in disaster response got familiarised with the material, its theoretical background and its practical implications. Furthermore, capacities of the participants have been enhanced to further distribute the knowledge and organise trainings in their own countries to integrate the materials in their National Societies. During the three-day workshop one focus was on the training package for team leaders and their responsibilities and duties during complex emergencies to better enable PFA and PSS in complex emergencies. 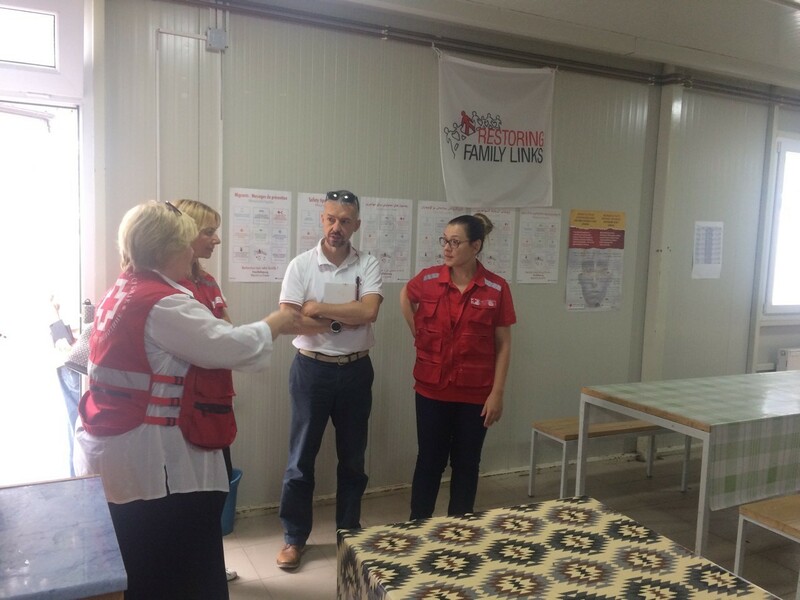 An important segment of the training was the care for staff and volunteers and the role of the team leader in strengthening resilience. On the last day of the training the topic of spontaneous volunteers was focussed on, a topic highly relevant for efficient planning of future activities and managing emergent volunteers. Through the application of case studies and exchange of experiences between the representatives from the countries in the region, the participants significantly increased their understanding about possible challenges and solutions. 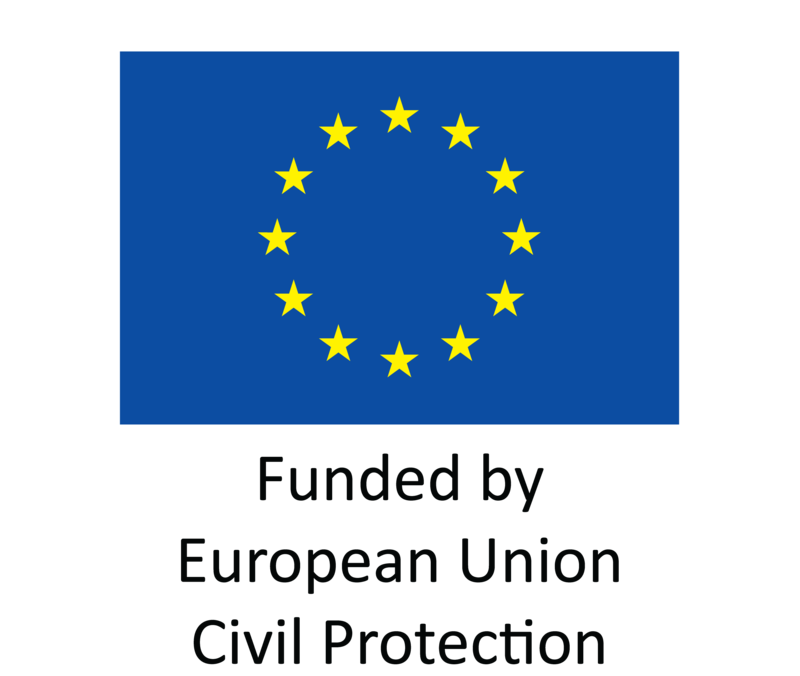 Future activities and next steps have been discussed and will be implemented in the last period of the project.